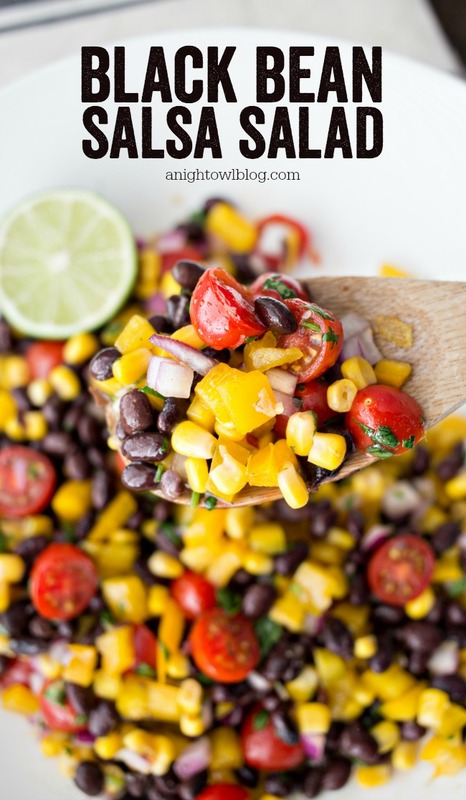 All the flavors of the Southwest in one zesty Black Bean Salsa Salad! 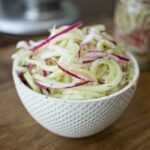 Perfect for summer parties, this simple salad will be a hit! I love simple summer salads. 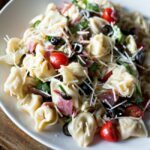 This Tortellini Pasta Salad is tops on our summer party list but this Black Bean Salsa Salad is a new contender! 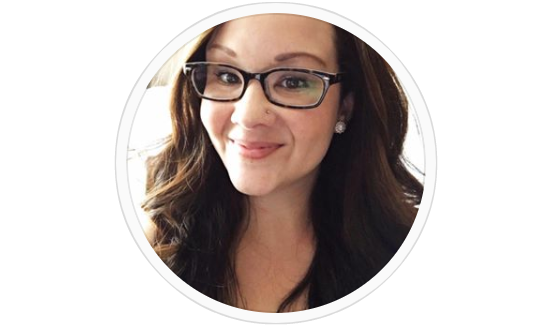 I found a similar recipe that called for pinto beans, but I don’t know about you, I’m a big fan of black beans so the swap was certainly necessary. 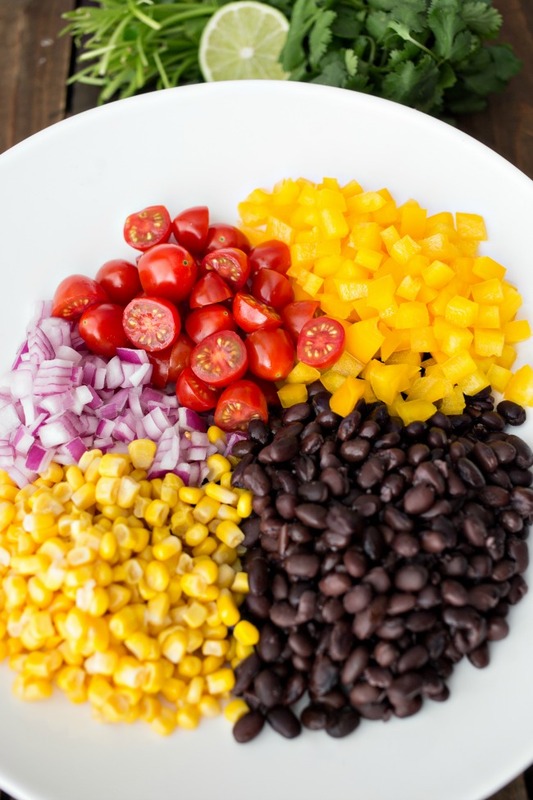 So use your favorite here…add in some corn, chopped bell pepper, onion and tomatoes. Stir that all together then whip up the delicious dressing. 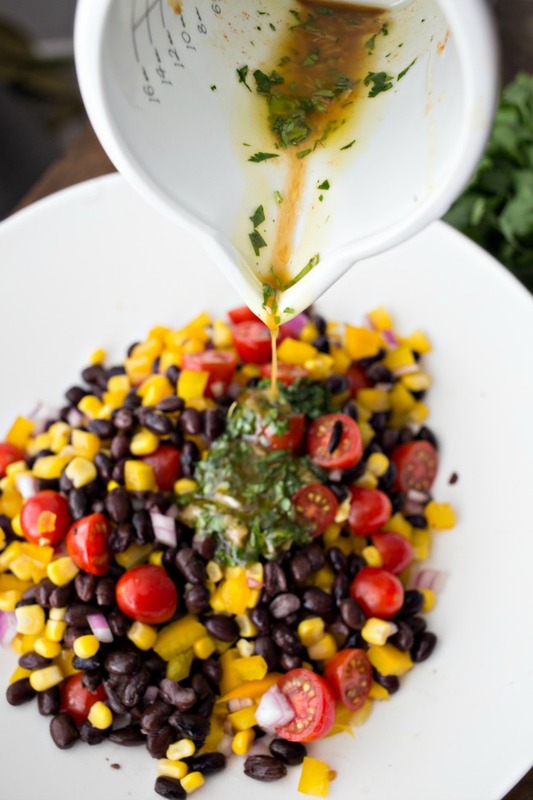 A simple combination of EVOO, garlic, lime, cilantro and seasoning and pour it all over the salad and fold gently. Smash the garlic cloves, sprinkle with a pinch of the salt, and, with the flat side of a large knife, mash and smear the mixture to a coarse paste. Chop the cilantro into small pieces. Whisk the garlic paste, lime juice, cilantro and remaining salt and chili powder together in a bowl. Gradually whisk in the olive oil, starting with a few drops and then adding the rest in a steady stream. 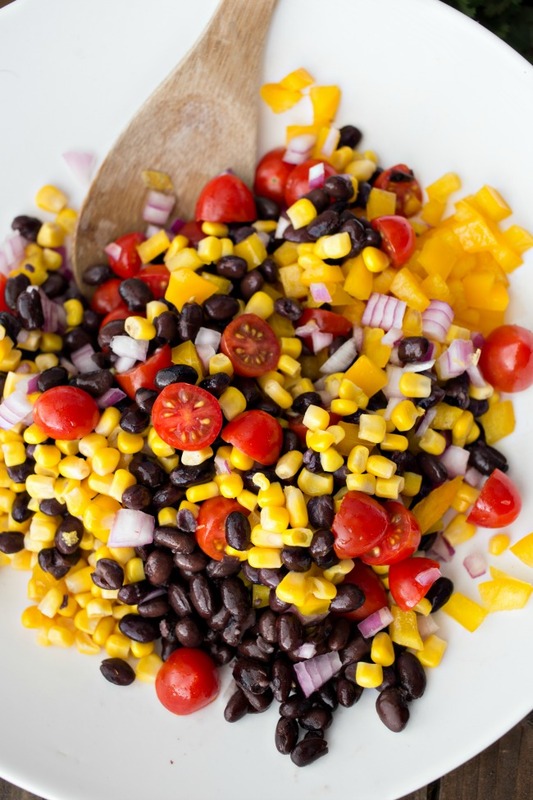 Toss together the black beans, tomatoes, corn, bell pepper, and onions. Add the dressing and toss to coat evenly. 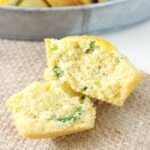 Adjust seasoning with salt and pepper, to taste, and serve. 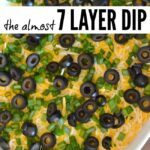 Now at this point it’s delicious – but it’s even better if you let the flavors marinate for a bit. 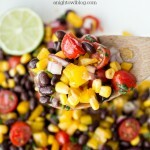 Black beans soak up flavor really well so after a couple of hours this Black Bean Salsa Salad is DYNAMITE! 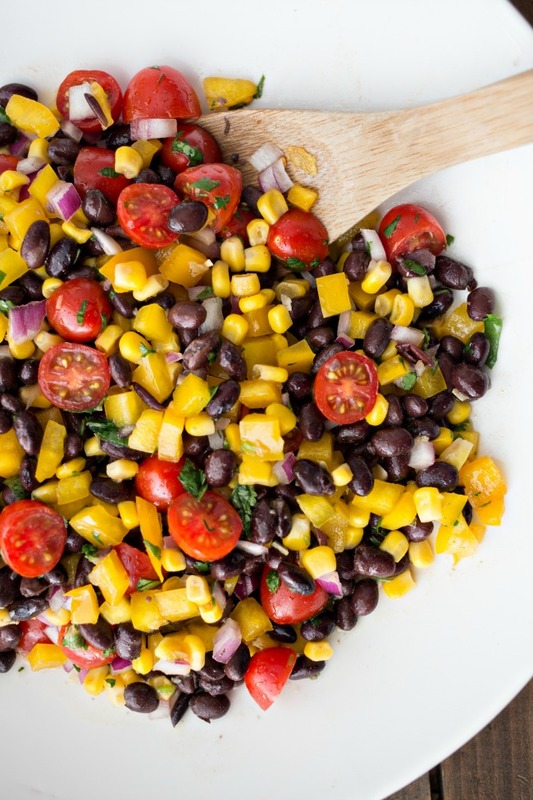 So if you’re in the mood to whip up a little summer salad OR you’re filling out your festive feast for Cinco de Mayo, give this Black Bean Salsa Salad a try and let me know what you think! 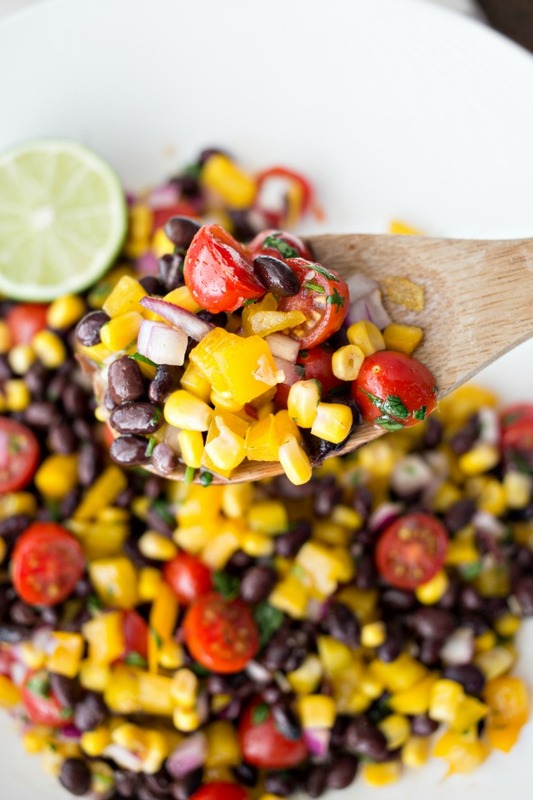 And don’t forget, we have a number of great Mexican Food Recipes for you today! Be sure to hop around and check out all of these great recipes from my #CreativeFoodies friends!